What’s more important than writing great content? Making sure people can find it! 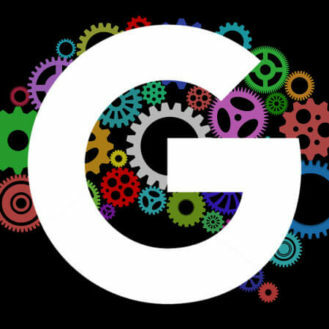 While search engine algorithms are getting better at discovering and ranking new content on the web, there are still a lot of things you can do to influence that process. Publishing content to a blog is only the first step in the promotion process. Doing only that doesn’t guarantee anyone will see it. You have to go the extra mile to get your content in front of eyeballs! Search engine optimization (SEO) is more than just adding keywords to content, though that is certainly an important part of it. SEO is about seeking out and fixing any roadblocks that might be preventing your content from being found. 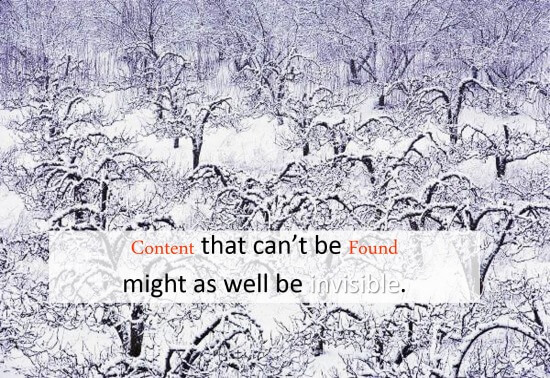 This includes “hidden” site architectural issues, navigation issues, usability issues and, yes, keyword/content issues. Whether you are engaging an outside SEO consultant or firm, or you’re handling the SEO yourself, you need to make sure you invest appropriate resources (time and money) into uncovering content findability issues. A good SEO practitioner will run your site through a number of tools on a regular basis, looking for things that might cause the search engines to either bypass your content or rate it lower than it deserves. As you invest the time into proper keyword research and optimization, you will discover that your content is being found more often by searchers looking for what you offer. 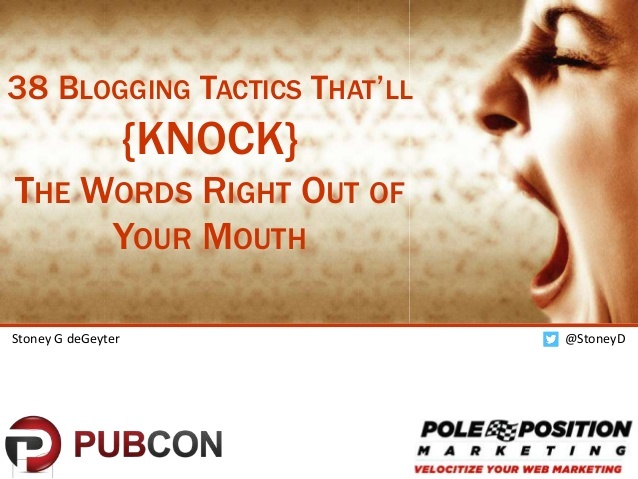 One of the key elements of optimization is your blog post title tags. The title tag is usually the clickable link that appears in the search results, and you only have a limited amount of characters (50-70) to convey your message. Search engines give these tags significant weight when determining how pages should rank, making the title tag the single most important piece of optimizable real estate on a single web page. That’s not to say it’s a magic pill to top rankings. Many other page elements can weigh a good title tag down. But on well-optimized pages, a strategic change to a title tag can often have a near-immediate impact on the page’s ranking. 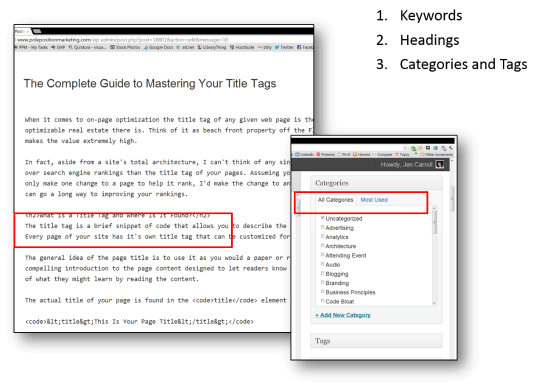 The title tag is also often used, by default, as the headline when sharing a page socially. These social titles can usually be edited independently of the title tag, and many times it makes sense to do so. However, most people who share your content won’t edit the title before sharing, making the title tag an even more important part of the optimization arsenal. 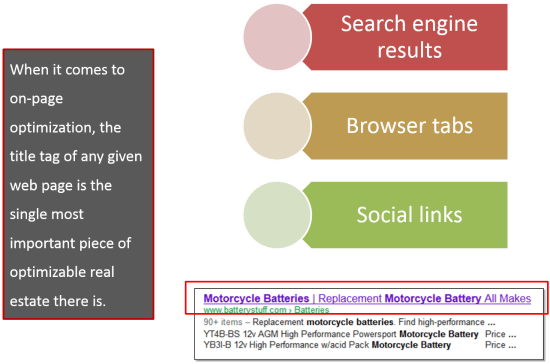 Ultimately, the title tag has to work for both search engines and visitors. When crafting your title tag, don’t just think in terms of keywords. Think in terms of reader value. When it comes to keyword integration, the content of your blog posts must align with the optimized title tag. If you title a blog post to target a specific keyword, your content should focus on that topic. As such, using the keyword throughout the content would seem natural. But it’s not just about working your keywords into the content. It’s about producing content that is authoritative to the topic you are addressing. Yes, by creating authoritative content, you’ll use your keyword(s) — but that doesn’t mean you repeat them ad nauseum. Search engines want more than keyword repetition. They want to see that you have a firm grasp and understanding of the topic. That means liberally incorporating other words that are frequently found on authoritative documents of the same topic. If you want to write an authoritative piece on dog food, you’ll do more than keep repeating the words “dog food” throughout your text. Obviously the words “food” and “dog” will be used throughout, as will “dog food.” But so will the words “pet,” “nutrition,” “health,”etc. 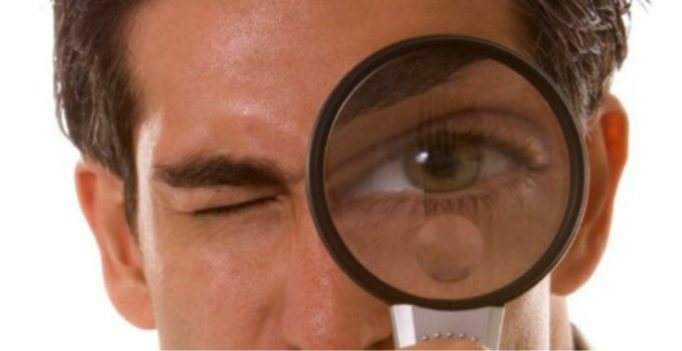 Look beyond a single keyword phrase when optimizing and think about the topic as a whole. Then work all of this into your content, headings, and even use them in your blog categories and tags. This will give you more authority points and more opportunity for top exposure. Don’t forget about images! These can be an important avenue for both drawing in traffic (via image search and social shares) and keeping the reader engaged. The most common way to optimize your images is to add Alternate Text (aka “alt text” or “alt attribute”). The alt attribute is contained within the HTML code of the image and is often used when you mouse over the image or displayed if the image doesn’t load. However, the search engines also use this alt text as a signal for the image’s content. You can also add an image title, a caption, and even a description, as well as using appropriate keywords for the image file name. All of these elements can give both visitors and search engines more information about what your image is. 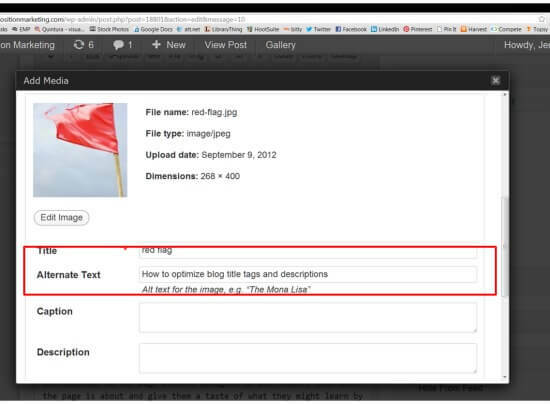 Of course, it makes sense for the images to visually reinforce your content. As such, the content you use in these areas should do the same. Often neglected, images can be a powerful reinforcement for your on-page optimization. The same for any video or other content that you add to the page. Look for opportunities to optimize this embedded content to provide a richer experience for both the visitor and the search engine. By following these simple techniques, you can help ensure that the content you work so hard to create actually gets seen.